Brock Lesnar returned from a 4 1/2-year UFC absence with a unanimous-decision victory over Mark Hunt, and Amanda Nunes took the bantamweight title from Miesha Tate with a stunning first-round stoppage at UFC 200 on Saturday night. Jose Aldo also won a competitive decision over Frankie Edgar to claim the interim featherweight title on the UFC's star-studded landmark show. Daniel Cormier dominated a decision over Anderson Silva, who took the fight on two days' notice after Jon Jones was dropped from the main event for failing a drug test. 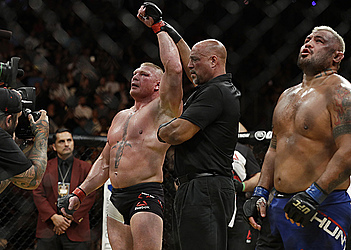 While Brazil's Nunes shocked Tate in the main event, the hulking Lesnar (6-3) was the greatest curiosity on the card. The pro wrestler earned his first mixed martial arts victory since July 2010, dominating Hunt with wrestling skill and sheer mass. "I'm older, and when I decided to make this comeback, it was a hard decision," the 39-year-old Lesnar said. "I'm glad I did. This goes to show for everybody out there, if you don't stick your neck out, you'll never get ahead." Underdog Nunes' victory was a stunner. "Everybody knows that I respect Miesha a lot, (but) I'm the new champion," said Nunes, also the first openly gay champion in UFC history. "For years I've been working hard for this moment. I feel amazing." Nunes (14-4) became the fourth different fighter to hold the UFC's 135-pound belt in the last eight months since Ronda Rousey lost it to Holly Holm. Holm lost the belt to Tate in March, but Nunes dominated Tate (18-6) from the start, stunning her with multiple big shots. Tate was bloodied and unsteady by the time Nunes sunk in a rear naked choke and ended it 3:16 into the first round. Lesnar made a UFC-record $2.5 million guaranteed purse for his first bout since late 2011, returning to the sport where he won and lost the heavyweight title during a meteoric MMA career. 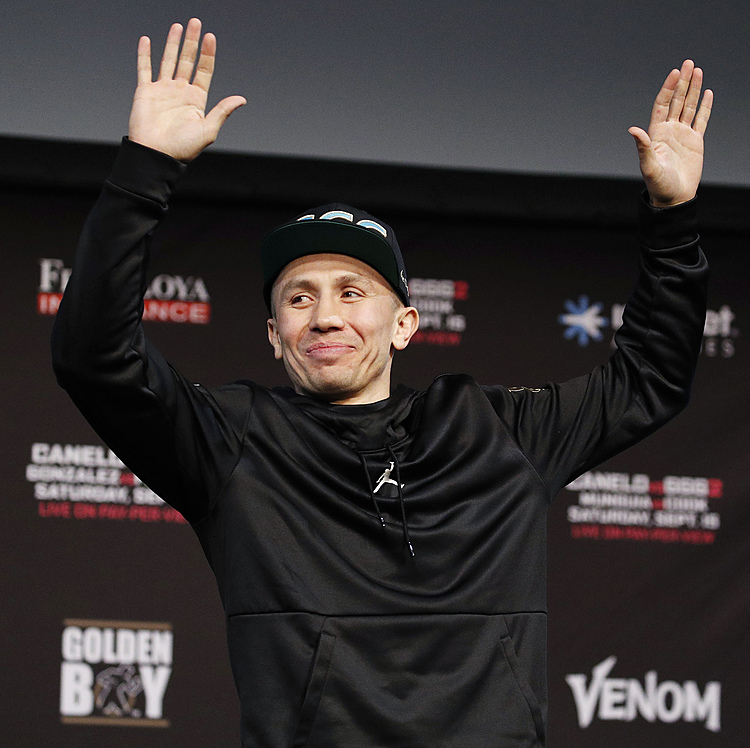 He never wandered into trouble against the famously heavy-handed Hunt, repeatedly taking down his veteran opponent and keeping him pinned to the canvas. "I wanted to finish the fight, but the guy's got a coconut head," Lesnar said. "My ground-and-pound, I'm sure he's going to feel it tomorrow, just as I'm going to feel his punch tomorrow." The 41-year-old Silva (33-8) stepped up to fight the UFC's light heavyweight champ after Jones was ruled out Wednesday night. Although Silva is 45 months removed from his last victory — and seven weeks removed from gallbladder surgery — he gamely took a shot at Cormier, who was denied a lucrative, career-defining rematch with the troubled Jones. Cormier (18-1) had little trouble with one of his heroes, largely keeping Silva pinned to the canvas on his back. Silva goaded Cormier into a few striking exchanges, and he even hurt Cormier slightly in the final minute, but the champ won 30-26 on all three cards. Aldo put on a masterclass in his return, cutting Edgar in the first round and tormenting him for four more rounds. Aldo reclaimed one version of the belt he held until his 13-second knockout loss to Conor McGregor in December — and he's also likely to get the lucrative next shot at McGregor whenever the 145-pound champion finally returns to their division following his second bout with Nate Diaz next month. The Irish star stood amid the floor crowd at cageside when the fight began. Afterward, Aldo put on his belt and immediately made threatening gestures at McGregor, who shouted back at his most bitter rival. "I have one goal left, and that's to beat this guy," Aldo said.